MOSCOW, April 16. /TASS/. 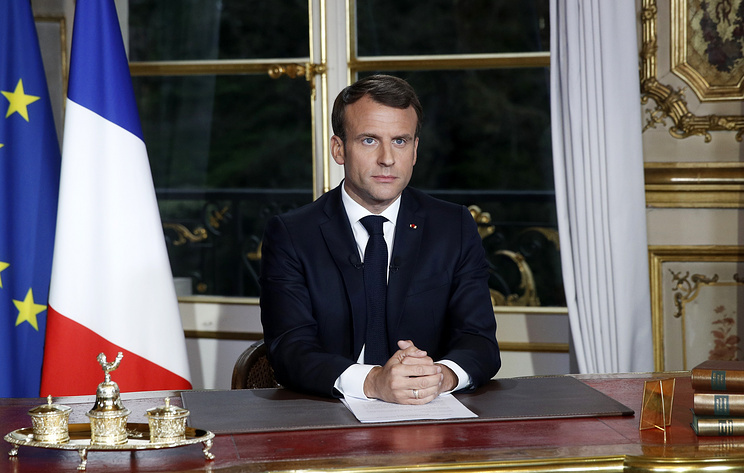 French President Emmanuel Macron has pledged that work to rebuild the fire-ravaged Notre-Dame cathedral will be completed in five years. “Yes, we will restore Notre-Dame, and we will make this cathedral even more beautiful. And I want to see this work completed in five years,” the French president said in a televised address to the French people. The fire at Notre-Dame de Paris Cathedral broke out at around 7pm local time on Monday. Due to fierce blaze, the building’s spire and most of the roof collapsed. According to preliminary information, the fire is believed to have been sparked by the ongoing renovation works on a higher level of the cathedral. A firefighter suffered injuries while combating the blaze. French authorities and private donors have pledged hundreds of millions of euros to rebuild one of the most important Parisian landmarks. Hey Buddy!, I found this information for you: "Macron says Notre-Dame will be rebuilt in 5 years". Here is the website link: https://russophile.org/macron-says-notre-dame-will-be-rebuilt-in-5-years/. Thank you.